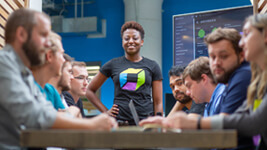 As we begin the start of our next fiscal year here at Dynatrace, I’m immensely proud to see us close the year in such a positive way as we’ve been recognized by Comparably for a further four awards. 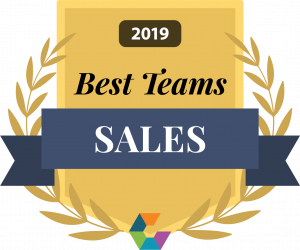 Announcing the ‘Best Company Outlook’, ‘Best Places to Work in Boston’, ‘Best Product Department Team 2019’, and ‘Best Sales Team’ awards, Dynatrace has ranked #8, #5, and in the Top 25 respectively. 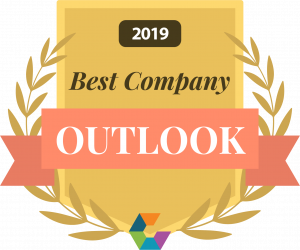 Similarly to our last recognition in the Comparably awards, we have again been named amongst some of the biggest names in the industry; for Best Outlook Dynatrace was positioned eighth, above Google, T-Mobile, and Microsoft. 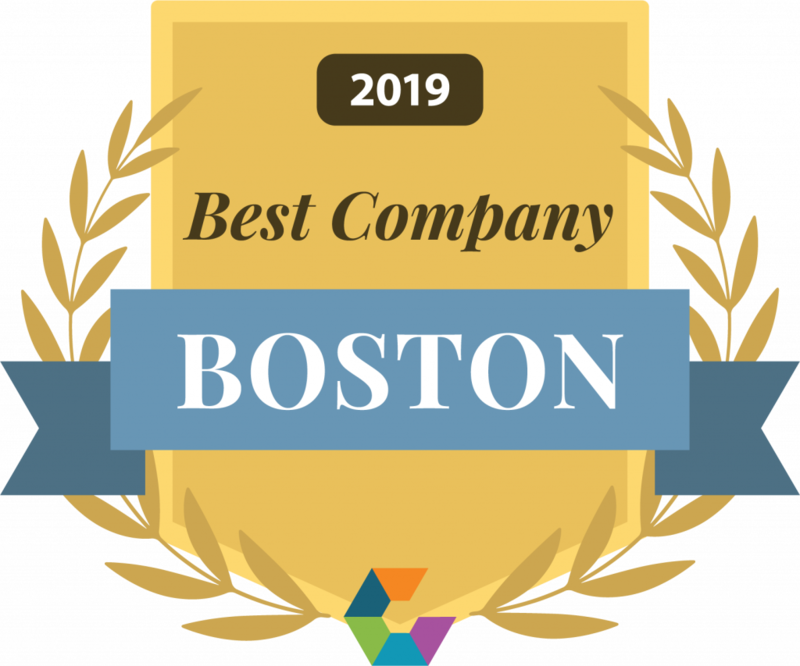 For Best Company in Boston, we ranked in the top five amongst Hubspot and Pegasystems. 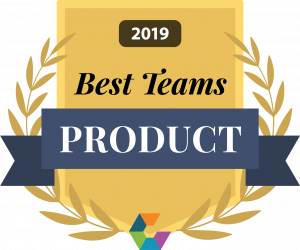 And, for Best Product Department Team we made the Top 25 list (ordered alphabetically). How employees feel about their company’s future. Employee net promoter score, measuring how likely employees are to recommend their company to a friend. This award is a fantastic result for us and a true testament to our reinvention and company journey beyond APM; reinforcing how we anticipate to disrupt the AIOps market over the next 12 months an how our employees share our vision and outlook as a company. 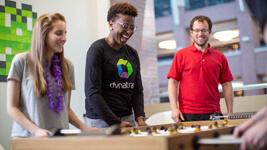 Both awards reinforce our commitment to the industry and making Dynatrace not only a company that develops and innovates fantastic products and services but one that thrives internally and within the community. 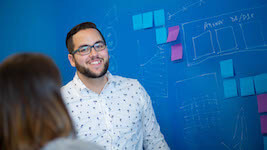 In recent weeks, we’ve also been named a Leader in Gartner’s 2019 Magic Quadrant for Application Performance Monitoring (APM). And, not only were we named a Leader – again – but we have been positioned furthest in completeness of vision and highest for ability to execute. We’re thrilled to be recognized in this position, and we believe this strengthens our place as a Leader in the market even further as we continue to innovate and overcome challenges we and our customers face. 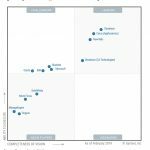 In addition to our Gartner Magic Quadrant recognition, Gartner has also recognized our product capabilities in their latest Critical Capabilities report. The report is an analysis of 12 vendors in the APM market, scoring them on a scale of 1–5 across the critical capabilities within five use cases, and within six critical capabilities across different categories. 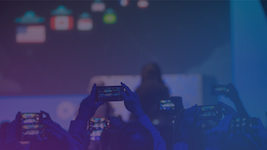 Read Gartner’s 2019 Magic Quadrant for APM here, and access the latest Critical Capabilities report here. 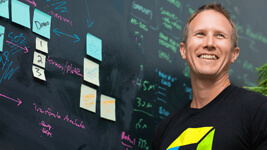 In addition to thriving as a company, and with our innovative products, our partner team is also shining brightly in the industry as Michael Allen – VP and EMEA CTO at Dynatrace – has been added to The Channel Company’s list of 2019 Channel Chiefs. 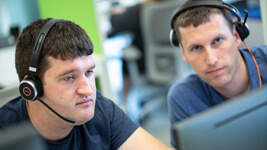 This is a fantastic achievement for both Michael and our partner team, as the recognition reflects exception leadership, vision, and commitment to Dynatrace’s channel partner programs. Honorees are selected by CRN’s editorial staff, for their professional achievements, standing in the industry, their dedication to the community, and strategies for driving future growth and innovation. With this recognition, it further validates our Comparably recognition as our company outlook is always about the future and innovating to be the best we can be for our partners and customers. It’s been a fantastic start to the year, and we’re only three months in! 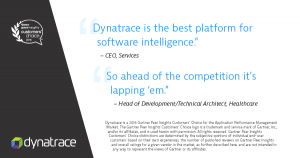 Thank you to everyone at Dynatrace who not only voted for our company in the Comparably awards but who contributes every day to enable us to achieve recognition from analysts at Gartner and other channels like CRN. I look forward to seeing what we achieve in the months and year ahead. For more information on our Comparably awards, have a read of their blogs. **Gartner does not endorse any vendor, product or service depicted in its research publications, and does not advise technology users to select only those vendors with the highest ratings or other designation. Gartner research publications consist of the opinions of Gartner’s research organization and should not be construed as statements of fact. Gartner disclaims all warranties, express or implied, with respect to this research, including any warranties of merchantability or fitness for a particular purpose. Denise serves as the VP of Human Resources for Dynatrace and brings to the team more 20 years of leadership in the field. In her role, Denise is responsible for the company’s most important asset – its people.